I’m always getting asked, Steve, are electric scooters road legal? Well I can now tell you that EVO have brought out a new road legal 12 inch 48v big wheel electric scooter. 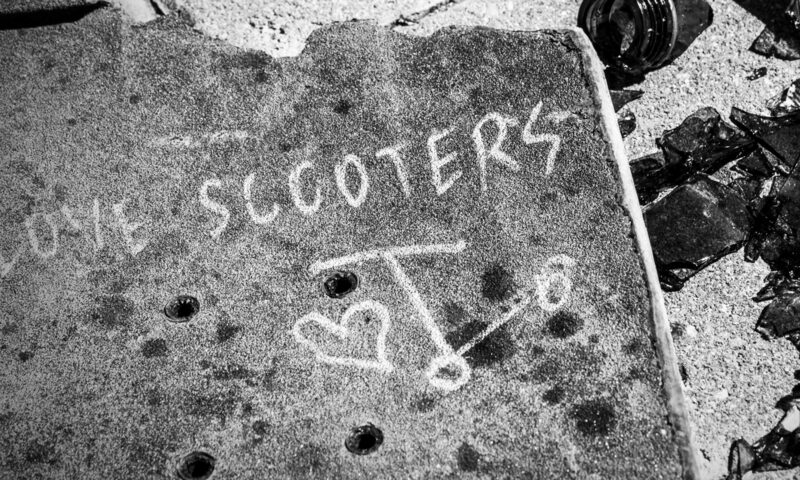 This is excellent news for all of us electric scooter fans! There are a few bits of house keeping you will need to do before you can ride this scooter on the main roads though. All of the registration details can be found at the official EVO UK site here. EVO will also supply you with the required certificate of conformity included with your purchase. So without further ado, let’s get onto the good stuff and talk a bit more about this scooter and why it’s ideal for commuters and other scooter enthusiasts. There is a little bit of assembly involved when you buy this scooter so bear this in mind when you order. Everything you need to know is covered in the manual. In a nut shell you need to assemble the handle bars, seat and light. The battery will likely need charging and the tires may need pumping. There a range of features here to consider so I’m going to write these as a list and then go through some of these in a bit more detail. Charging takes between six to eight hours. This scooter can travel for up to 25km per full charge, depending on the terrain. So basically if you’re travelling over a lot of bumps or up hill, it is going to use more power compared to travelling flat or down hill. This could be something to consider if you have a long journey, especially one that is mostly uphill. You can always travel with your charger, and plug it in and power it up before a return journey. The seat on this electric scooter is high adjustable which gives a wide range of comfort levels for different heights. I wouldn’t recommend anyone under 16 ride this scooter, but for smaller adults and those that are tall, you can adjust it to your ideal level. The seat is also removable and nice and comfortable. The front suspension is also adjustable. This question is also something I get asked a lot. What’s the fastest electric scooter. It’s all about speed, and at 1000W, this is the fastest. It goes up to 43 kilometres per hour, that’s 27 miles per hour. It might not sound fast, but for an electric scooter, that is a very quick speed! The 500W and 800W electric scooters don’t go as fast as this. The speed does also depend on the load and terrain, so the heavier you are, the more you’re going to slow it down. Likewise it will go faster over smoother surfaces than bumpy ones, much like any other machine. Can you drive it in the dark? Yep, the front and back LED lights allow night time riding so other road users and passersby can see you coming. For added safety, it would be a good idea to wear bright clothing also to really stand out. What weight must you be to ride? This 1000W 48V scooter can hold a person up to 120kg. In pounds that’s 265 pounds, or 19 stone. So that should accommodate the vast majority of people pretty well. The fold up feature is extremely useful and saves a lot of space when the scooter is not in use. It folds up really easily. One thing to bear in mind is that it is a pretty heavy machine at 48kg so please do bear this in mind, you want to be able to push the scooter wherever you are storing it rather than be lifting it anywhere like upstairs. I’d recommend storage in a garage, or anywhere that is downstairs/ground floor. What are the hazards and safety features? This is a powerful machine, and it is not intended for kids whatsoever. So please, don’t buy this for your children! It can be dangerous and it is fast. Be responsible. You should always wear a helmet and safety gear before you ride. When the stand is down, there is a built in safety feature that prevents the scooter from operating. It’s nice to know that the scooter is not going anywhere when the stand is down. There are also front and rear disc brakes for added safety, dual rear shock absorbers and of course, rear view mirrors to keep an eye on who’s behind. The good thing about EVO scooters is how well built they are. They’re a proven, well-known brand. They’re obviously well-made but they also say themselves that their parts are bought from reputable suppliers, and are not made with cheap parts that can be used on more poorer models. You can invest in your own road legal electric scooter and find out more about it at the official EVO UK supplier, EVO Scooters. I have found dealing with these guys to be very pleasant. You can email them direct with any questions for a personal reply, and also call them up to ask for more advice which is exactly what you want when you’re investing in an electric scooter. Service is everything! Do you use your electric scooter on the roads? Leave a comment and share your experiences.